Heat oven to 350°F (325°F for dark or nonstick pans). Place paper baking cup in each of 24 regular-size muffin cups. Make cake batter as directed on box. Divide batter evenly among muffin cups (about two-thirds full). Bake 20 to 22 minutes or until toothpick inserted in center comes out clean. Cool in pans 10 minutes; remove from pans to cooling rack. Cool completely, about 30 minutes. 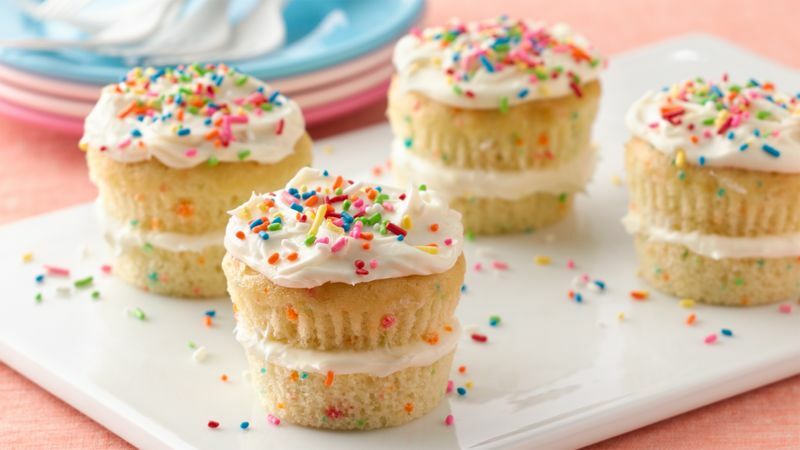 Remove baking cups from cupcakes. Using serrated knife, cut each cupcake in half horizontally, being careful not to break either half. Place heaping 1 tablespoon frosting on each cupcake base. 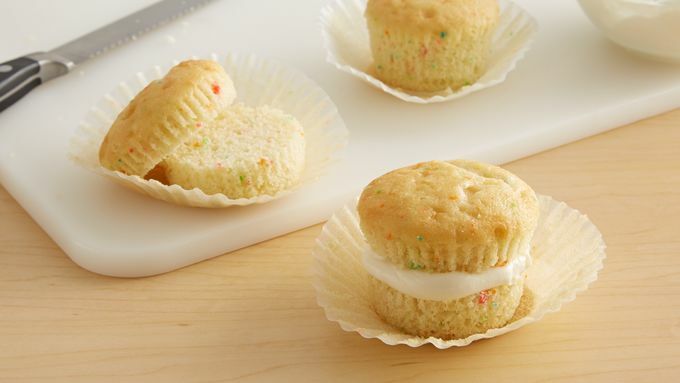 Replace rounded cupcake tops. Spread rounded 1 tablespoon frosting on top of each cupcake. Top with candy sprinkles. Store loosely covered.